When you get a new roof put on your home, the experience should be easy and enjoyable. The big question is: How can you choose the right roofing company? Most people don’t know the first thing about roofing. With so many choices in Florida, how can a person pick a roofing company they would be comfortable with to do a good job? That is where Taylor Made Roofing comes in. Operating out of Fernandina Beach, we are the experts in roofing. With decades of experience, you don’t have to understand the best ventilation system or shingles for your property. Our onsite professionals are ready to help you pick the right setup for your unique home. Here are three things to remember when you choose a roofing company. Many companies out there will promise the cheapest price and the fastest service. When you need a new roof, time is of the essence and people often will rush when they select the team that will do your roof. Don’t get pulled in by promises that won’t materialize. Look at a company’s reputation and reviews and see what people really think of their service. Taylor Made Roofing has many good reviews on Google and Yelp. Once again, anyone can promise the cheapest and fastest service, but what do they do to back that up? 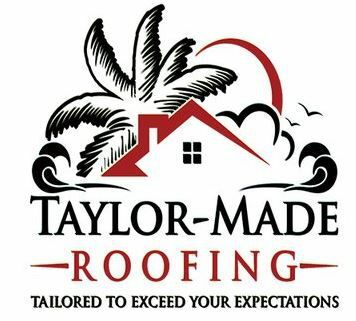 Here at Taylor Made Roofing, we stand by our work and want every customer to walk away happy. Some companies may be able to promise a lower price because they use inferior materials that won’t stand up to the test of time. Summer in Florida can be brutal. Over time, when shoddy material is used, the roof will begin to warp and crack from the heat during a process known as thermal splitting. Do you want the cheapest roof when it will just result in leaks and property damage years down the line? Go with a company that puts warranties on their work! Going back to the idea of getting what you pay for, remember to always get an accurate estimate on the work that will be done. Some companies can be very vague with what they put into the contract. Before you sign anything, have the company explain in detail exactly what they are planning to do. Contractors with vague contracts may try to use inferior materials for their work once you have already signed on the dotted line. Try to always make sure the contract clearly states the scope of the work and what brands will be used for your home. Just saying a lifetime shingle will be used is not enough. Prices vary greatly between products, so have the company be as specific as possible to avoid confusion and frustration later on. With Taylor Made Roofing, each estimate will be clear and concise to avoid confusing language and allow for accurate price comparisons. Finding the right roofing company can be difficult, so hopefully this article will help you make the right decision! Please contact us with any questions.